The air is crisp, the kids are back in school, and it's time to start thinking about your fall decor! 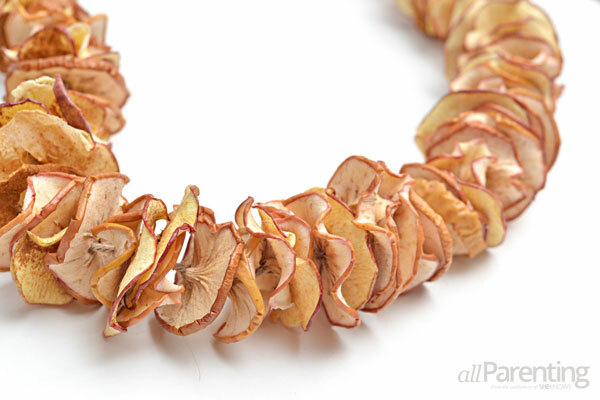 This dried apple garland will look pretty and smell amazing draped over your fall mantle. 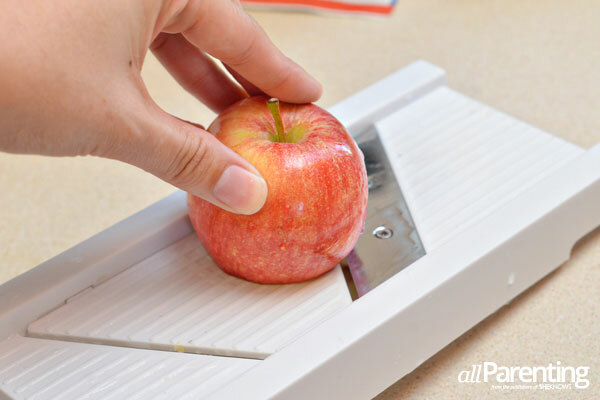 Slice the apples crosswise as thinly as possible. 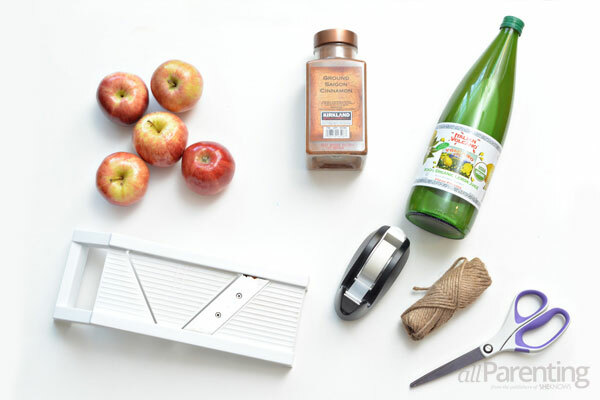 A mandolin slicer helps you get consistent slices, but if you don't have a mandolin, you can slice the apples with a regular knife. Some of the slices will naturally have holes in the center, but a few won't. 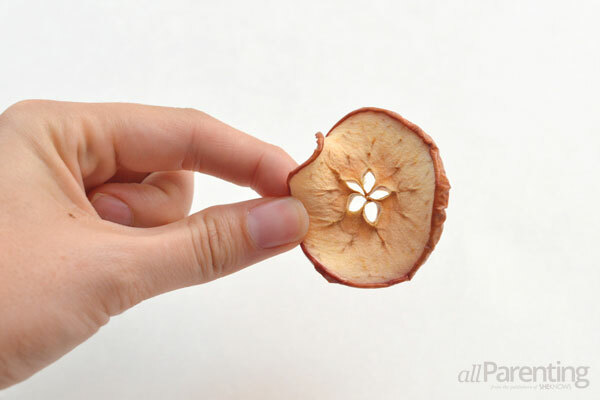 Use the drinking straw to make a hole in the center of the apple slices that don't already have a hole. Combine 2 cups water and 1/4 cup lemon juice in a large bowl. 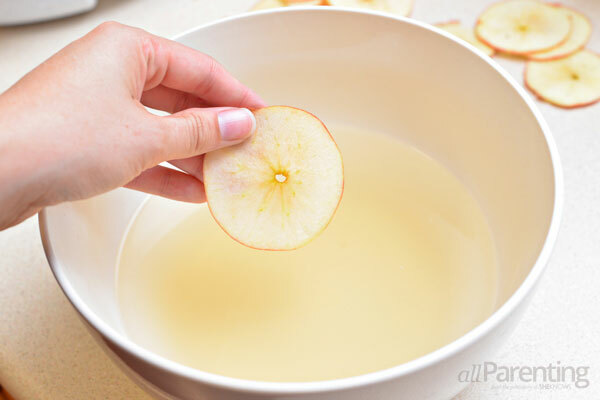 Dip the apple slices in the lemon juice mixture. 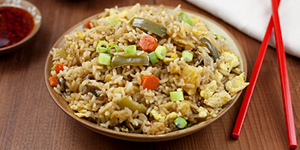 The lemon juice prevents the slices from browning before they have a chance to dry. 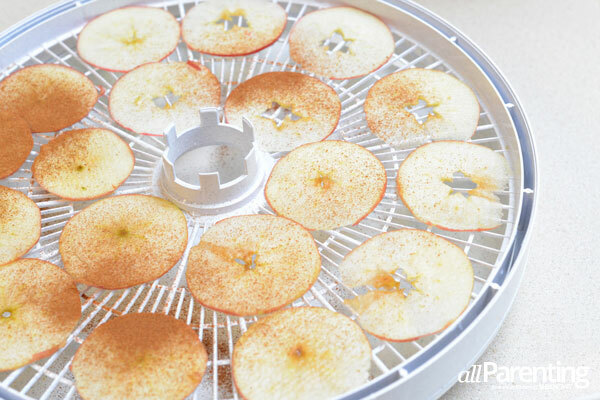 Lay the apple slices out on your dehydrator racks, and sprinkle them lightly with cinnamon. Dehydrate the apples at 135 degrees F for 6 hours. At this point, your house will smell completely amazing. 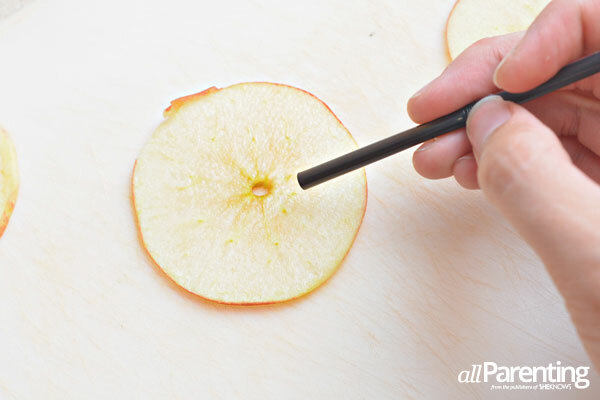 If you don't have a dehydrator, you can place the apple slices on a baking sheet and dry them in the oven. Drying times will vary in a conventional oven, so just heat your oven to its lowest setting and watch the apple slices closely to avoid over cooking. Once they are dry, the apples will be firm and slightly curled. Cut a piece of twine to the desired length of your garland. 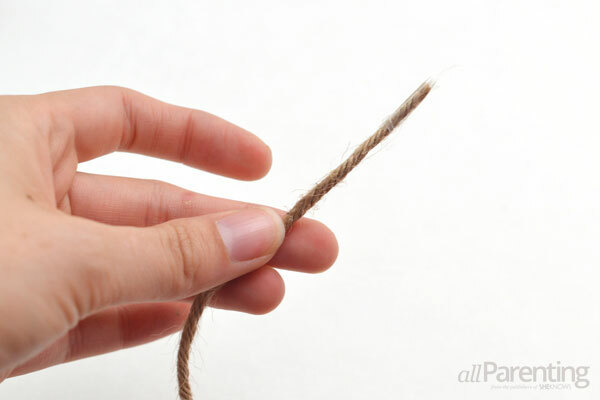 Wrap a piece of tape around the end of it to prevent the twine from unraveling. Slide the apples on the twine. 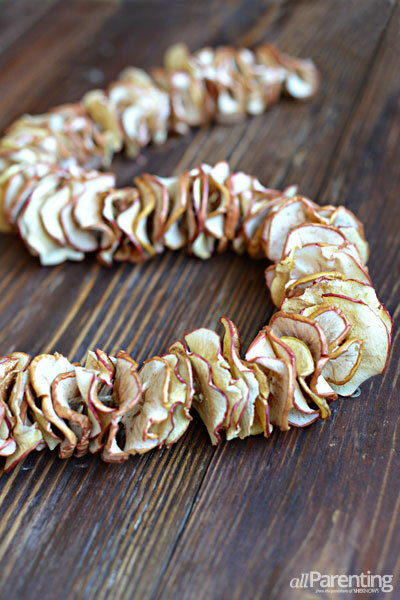 Keep filling up the garland until you have added all of the apple slices. 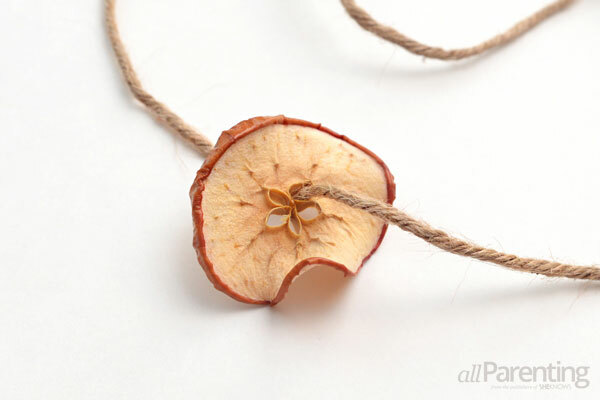 Tie a knot in the twine at each end of the apple garland to keep the apples from sliding off, and then find a pretty spot to hang your dried apple garland! Tip^ As the fragrance fades, you can refresh it by adding a few drops of fragrant essential oils to the garland.